I wrote an open letter to you in 2016 following the EU referendum where Scotland voted overwhelmingly in favour of remaining in the EU. We voted to retain the freedoms offered to our citizens to live, work, study and travel within other European Union countries and to share these freedoms with EU citizens from outside of the UK who have chosen to live here. Since then my message to you has not changed: Scotland is your home, you are welcome here, and you are valued. You play a crucial role in Scotland’s economy and public services. You are a vital part of Scotland not just for the skills and talent you bring to our country but also the diversity and richness you bring to our culture and communities. As EU citizens in the UK you have had to endure years of careless indecision on what the future holds for your lives, your careers and your families. Many of you have been living in Scotland for several years and have built your lives and raised your families here. The hardest part of dealing with Brexit has been meeting EU citizens across Scotland, who want to stay here but who do not know what steps they need to take and whether their rights will be secured. Although immigration is a reserved issue, as a nation, Scotland has a long history of welcoming people of all nationalities, and while the Scottish Government unfortunately does not have the power to simply grant the right to remain for those that seek it, we do want all those who have made their lives here to be able to stay. The UK Government have now set up a scheme where you can apply for settled status and in Scotland we will take action to help you with the application. We’ve put together the Stay in Scotland package of support to help you to stay. You can find more information at www.mygov.scot/euexit. We will be supporting community groups and employers to help them ensure you know your rights, how to apply, and can get suitable help and advice if you need it. In the coming weeks we will be issuing leaflets and information packs to individuals, employers, Members of Parliament and community groups. Citizens Advice Scotland will deliver some of this support for us, by helping those citizens who would like to apply for settled status, but have more complex support needs. You can find out more at www.cas.org.uk/brexit. The closer we move towards the UK’s exit from the European Union the more real and substantial reassurances about your rights and position in this country you need. 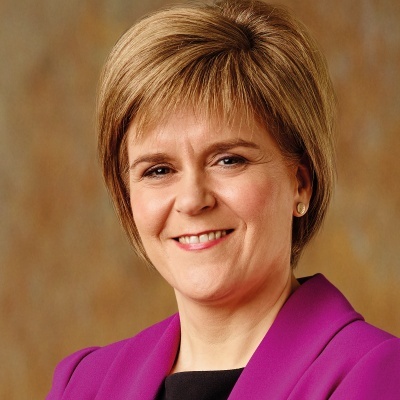 As the First Minister of Scotland I want to thank you for the contribution you make to Scotland. I am proud to say that this is your home, you are welcome here and we want you to stay.